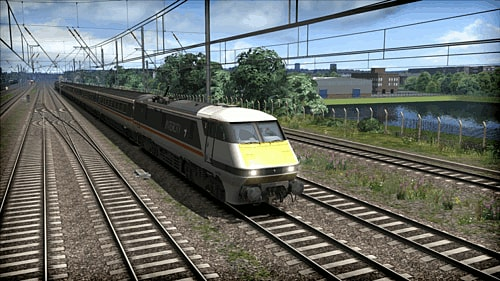 The flagship locomotive for the East Coast Main Line, the Class 91, speeds into Train Simulator in its original InterCity Swallow livery, complete with Mk4 coaches and Driving Van Trailer. The Class 91 was built as a development of the Advanced Passenger Train (APT) project, which was abandoned during the 1980s, and was introduced in 1988 with the overhead electrification of the East Coast Main Line; the first Class 91 to work a passenger service was on 3 March 1989 with a rake of Mk3 coaches and a converted Class 43 power car acting as a Driving Van Trailer (DVT). The locomotive’s body shells were built of an all-steel construction, and unusually were fitted with body mounted motors to reduce the unsprung mass and hence track wear at high speeds. Much of the engineering was derived from research and operational experience garnered during development of the APT. 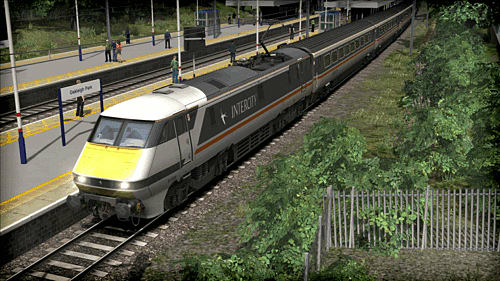 Given the auxiliary name of InterCity 225, a nod to their designed operating speed of 225 km/h (140mph), the Class 91 exclusively works flagship high speed passenger services on the East Coast Main Line between London King’s Cross and Edinburgh Waverley, leading a rake of nine Mk4 passenger coaches and a Mk4 DVT. Realistically, services only run at 125mph (201 km/h) due to the track infrastructure, but occasionally do reach their designed top speed to make up time. The Class 91 for Train Simulator is available in InterCity Swallow livery as carried between 1988 and 1996, and features two fully working driving cabs, complete with DRA, AWS and vigilance device reset, and cruise control. The Mk4 DVT also includes a fully driveable cab, giving complete push-pull capabilities to the train. A full rake of nine Mk4 coaches in accompanying InterCity Swallow livery replicate the full InterCity 225 service, complete with passenger view. 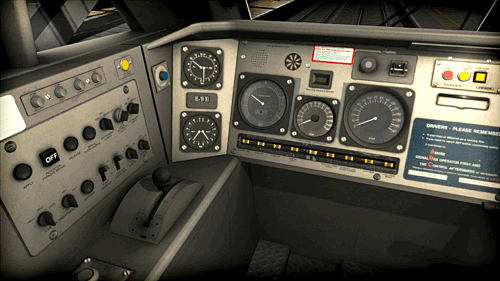 Please note: the ‘blunt end’ cab of the Class 91 is accessible from the main Class 91 cab by pressing the left and right arrow keys. The locomotive is also Quick Drive compatible, giving you the freedom to drive the InterCity Class 91 on any Quick Drive enabled route for Train Simulator, such as those available through Steam. 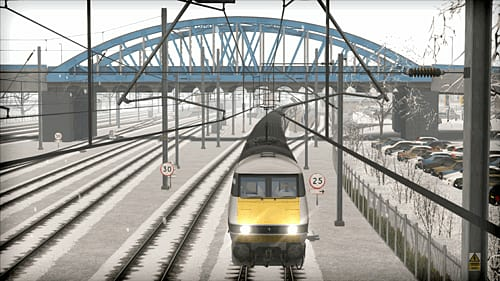 Also included are scenarios specifically for the East Coast Main Line: London-Peterborough route (available separately and required to play these scenarios).